Merry Christmas to all my friends and followers!!! Looks like more snow and whitewater are on our way. Thanks Santa!!! Best wishes to all for a happy holiday!!! Yep, this old school girl tried out some new boats and gear this year. Here are my top gear picks for 2012 and a few thoughts on some of my tried and true favorites. Sterling Reflection (1" cut) Sea Kayak - Lightweight and highly maneuverable the Sterling Reflection is my top pick for a playful sea kayak. It is stable yet very responsive, durable yet lightweight, and even better yet custom built in the US. The Reflection is 15 feet but handles like a whitewater kayak. Sterling Donaldson, the builder of the Reflection continues to develop his boats to be tough and lightweight. We were impressed with the latest version that we paddled this fall. It held up to a few hits that would have broken other boats. One also has to appreciate that Sterling Kayaks are custom made in the United States. Saltwood Paddle - I grabbed Jeff's for a private lesson that I was teaching and fell in love with it. I love the balance of the blades. They have a very smooth entry and a good balance of power and comfort. The wooden shaft has a lively feel and the small shaft fits my hands perfectly. After snatching Jeff's every chance that I had, I finally got my own this fall. We have lengths appropriate for sea kayaking and rock gardening. I hope to try a shorter one in my whitewater and surf kayak. Keen Gorge Boots - The best paddling boot that I have found so far. These boots are comfortable, supportive, and durable. What I like best about them is their rugged, supportive sole. This makes a huge difference when carrying to the put in or take out, scouting, portaging, or scrambling on rocks or up slot canyons. I feel that they offer good protection from rocky terrain and excellent traction even on slippery surfaces. I could almost make these my everyday hiking shoes. Rarely do a pair of booties last me a year and these are still going strong after a lot of use. My only wish is that they would make the top of the boots able to cinch tighter at the ankle to keep cold water, gravel, and sand from getting in over the top of the boots. The Bomb Drytop by Bomber Gear - Its DRY. I like the long inner tunnel. The lightweight material and length of the inner tunnel make it a perfect match with my Kokatat Bibs. 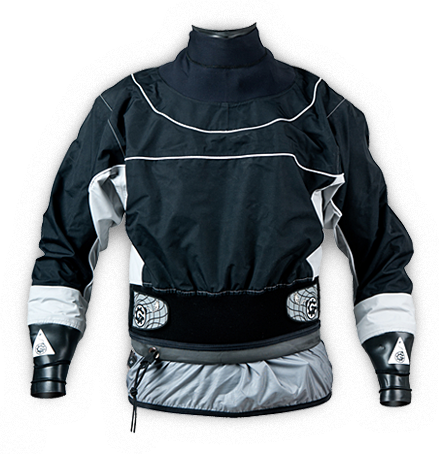 Bomber uses the best latex gaskets that we have found in terms of durability and fit. I tend to like bright colors for visibility when guiding but got the black for winter boating warmth. I don't know if it is the black or the material, but this top is way warmer than others tops that I've used. I'm impressed with the build quality of the Bomber drytop. The seams are all taped and there are no loose threads or unfinished edges. I've had the top less than a month so we will see how it wears over time but so far I am sooooo happy that I have this for our winter boating season. Custom Neoprene Gaskets - Last year Jeff started making neoprene gaskets for our drytops and drysuits. They are so much warmer, more comfortable, and more durable than latex gaskets. Of course knowing that they are custom made with love adds to the warmth value. NRS Ultra Jane - As we do more swimming and coasteering in our ocean rock gardening adventures, I have become a wetsuit fan for comfort and protection. I like the NRS Ultra Jane for all day comfort. The relief zip is perfect and allows me to modestly pee without peeing in my suit or having to take my suit off. I have had this wetsuit for 5 years and it is showing some wear but still works great. Eskimo Diablo (built in 2000) - This is your load on Sunday and paddle all week whitewater kayak. The German plastic is solid - so solid that they didn't build these boats with center pillars. This means lots of room to store gear. The narrow build and lower deck of the older Eskimo kayaks are great for us smaller paddlers and very easy to roll. 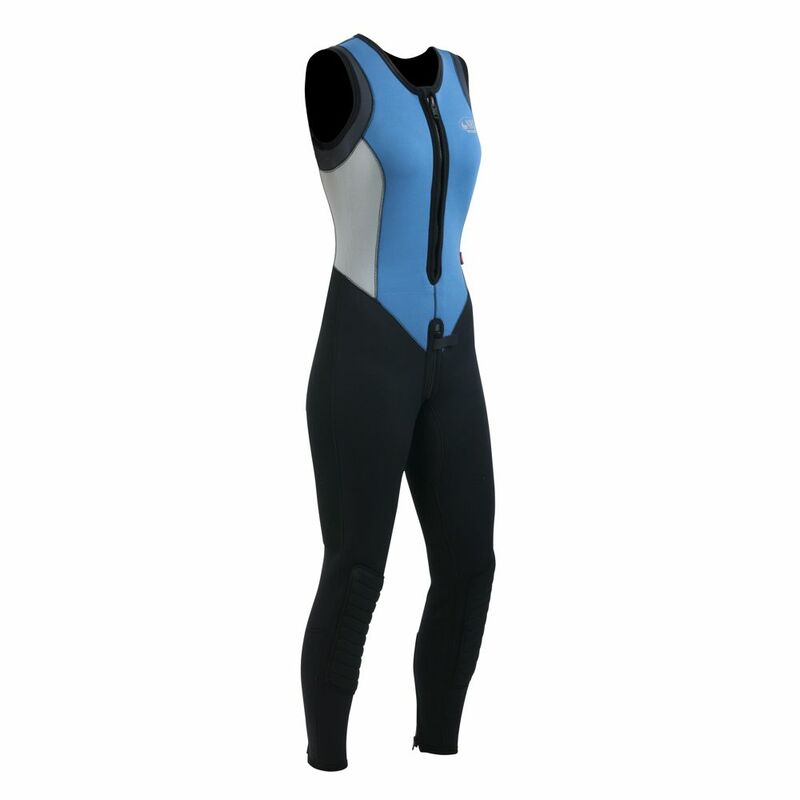 The outfitting is simple and sparse by newer whitewater kayak standards but is comfortable. I paddled our Eskimo Diablo on our 2011 Eel River Expedition and on our 2012 Grand Canyon Trip. Where shall we take her in 2013? Necky Jive - I started in a Jive and continue to try other boats but come back to it for ocean surfing and rock gardening. It definitely isn't perfect. My biggest issue with the Jive is that it is HEAVY. I like the low deck of the Jive and its planing hull and edges (almost rails) for surfing. I find the Jive easy to roll and FUN to surf. Werner Sherpa Paddle - tried and true. This thing has lasted me 5 years of use and abuse. Throwing it in the truck now for a surf. My personal gear forecast for 2013 coming soon. Rumor has it that Santa is bringing me a new whitewater kayak for Christmas. Our rivers have been flowing so I decided to play around a bit with our Liquid Logic Remix 59 while I wait for my new steed. When I was first getting into whitewater kayaking and realized that one of Jeff's hand-me-downs wasn't in my best interest (or his), we went shopping. I quickly became aware that the options are limited for a person of my size 5'4" and 120# - kids boats are too small and most adult boats are too large. Fortunately this is changing and more options are becoming available. I checked out the Liquid Logic Remix 47 which was way too small. I sat in the Remix 59 and thought it had promise. The salesperson in the shop discouraged me from the boat saying that I didn't weigh enough for it so I passed on taking it for a test paddle. 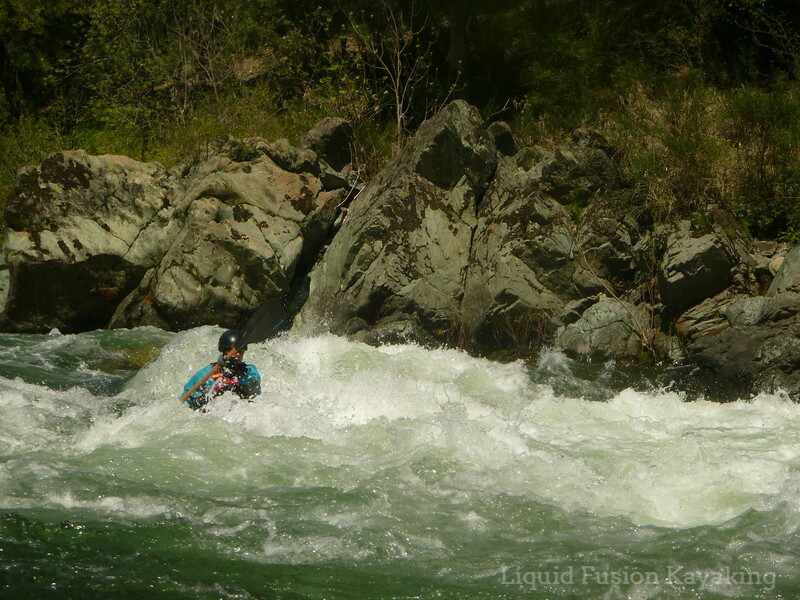 We've had a Liquid Logic Remix 59 in the Liquid Fusion Kayaking fleet for awhile now. Lots of boaters love it and have recommended it to me, but I have always thought it a bit big. Jeff paddled it on the Grand Canyon and wasn't thrilled with it. Last week, our coast range rivers were flowing and Santa hadn't delivered yet so I decided to take the Remix 59 out. I was pleasantly surprised with it. The first thing that I noticed about the boat was how comfortable it was. Initially, I felt too deep in the boat so I put a strip of 3/4" mini-cell foam on the seat under my sit bones. This did the trick - it elevated me enough to have good contact with the thigh hooks and to be in a position for good paddling posture. I was pleased with the placement of the thigh hooks. They did not seem to be as wide as many other whitewater boats. I felt that I had good connection to control the boat with my lower body without being super tight. The Remix was comfortable for all day paddling. Furthering the comfort factor was the length of the cockpit. At 33", it was a little bit of a stretch for me to get the spray deck on but not the usual effort that it takes to wrestle the spray deck onto the longer cockpit of most other whitewater kayaks. I would like to see the outfitting re-worked a little. The backband was really rigid which made it difficult to store dry bags with kit in the stern of the boat. I probably would have liked the backband to be lower and/or more flexible. Another suggestion would be to make it so that shorter paddlers can easily slide my mini-cell foam under the outfitting on the seat. I also found the hip padding that was attached with velcro to the cockpit combing tended to slip and my spray deck would sometimes catch on the velcro. Build quality, the Remix felt solid. When boofing or bumbling into rocks, I didn't feel any flex. The plastic didn't gouge or scratch at the slightest offense. I felt comfortable dragging it across rocks on a portage knowing that I wasn't going to be leaving a trail of plastic behind. But the most important thing - how did it paddle. My first impressions of the Remix 59 was that it was solid - stable, predictable, and comfortable. My first day in it was on a high flow day on the Eel with lots of squirrelly boils and eddylines. I appreciated the stability. I expected it to be a little bit faster, but it was fast enough. It didn't carve into eddies as sharply as a planing hulled boat but did the job. After a bit more paddling in varied waters, I found that I liked it on boney, low volume runs. The Remix is so easy to boof that it practically auto-boofs. It is also so solidly made that I don't wince when I hit rocks nor does the boat seem to scratch easily. In bigger water, I found the boat to be a bit much for me to move around. I felt like a cork bobbling along and felt that couldn't make it move in the bigger water to make moves - instead of dancing down the river I was finding myself setting the boat on course and working to keep it on course. The Remix 59 is not the easiest kayak to roll. I didn't I missed any rolls with it but didn't find it to snap under me like my other boats. When rolling the Remix, I had to think about my roll and make sure that I was using good technique. We have had students who have had more difficulty than necessary learning to roll in the Remix. I would recommend it for paddlers larger than me who are looking for an all around river runner that is comfortable, stable, durable, and easy to paddle. It is great boat for cruising down the river - comfortable and forgiving. It will surf and play but is not the most playful river runner on the market. Those that are in my size range looking for something more playful might consider the Jackson Zen 55 or 65, or Dagger Axiom 8.0. 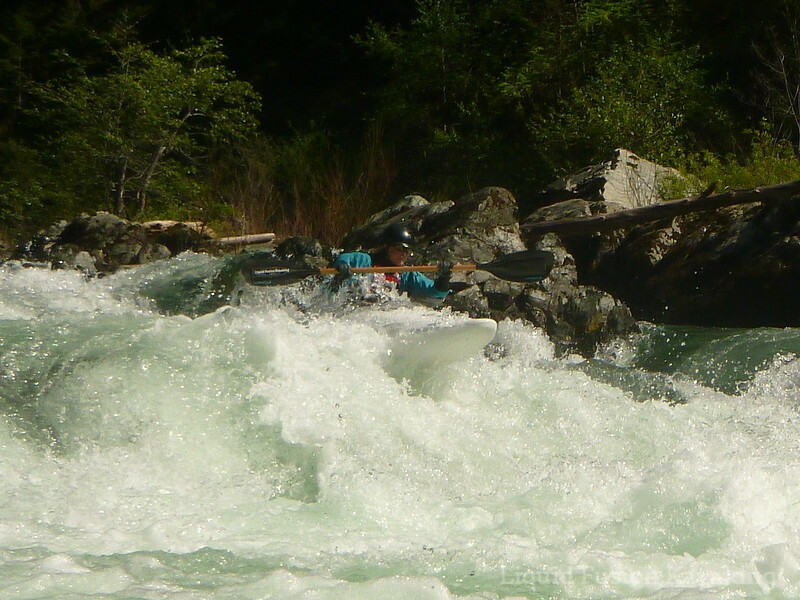 Note - White kayaks photograph horribly in whitewater so we don't have many photos of the boat in action. For photos of the outfitting definitely check out the photos and videos on Liquid Logic's website. And remember the best thing to do is to try a boat before buying it. The River Store on the South Fork of the American River in Lotus, CA is one of my favorite shops for demoing boats. As of this posting, they have a used Remix 59 for sale. Lots of time on the water has had my Woman on Water blog a bit quiet. I have lots of great material in my head and but just not the computer time to get them onto the blog. I also have to admit that we are having camera issues again (more on that another time). Stay tuned for some kayak and gear reviews with some thoughts and experiences with waterproof digital cameras. Lucy O'Brien rips in the surf. June Ruckman Albright at the oars. Terre whitewater kayaks on the Eel River. Carla takes the cataraft down the Eel. Diane styles the Eel in her C1. And here's me on Rancheria Creek. Today, I am off to the Mendocino Coast Women in Business Network meeting, a mountain bike ride (with some wild mushroom hunting), then swift water safety training. Rest and relax in the off-season?